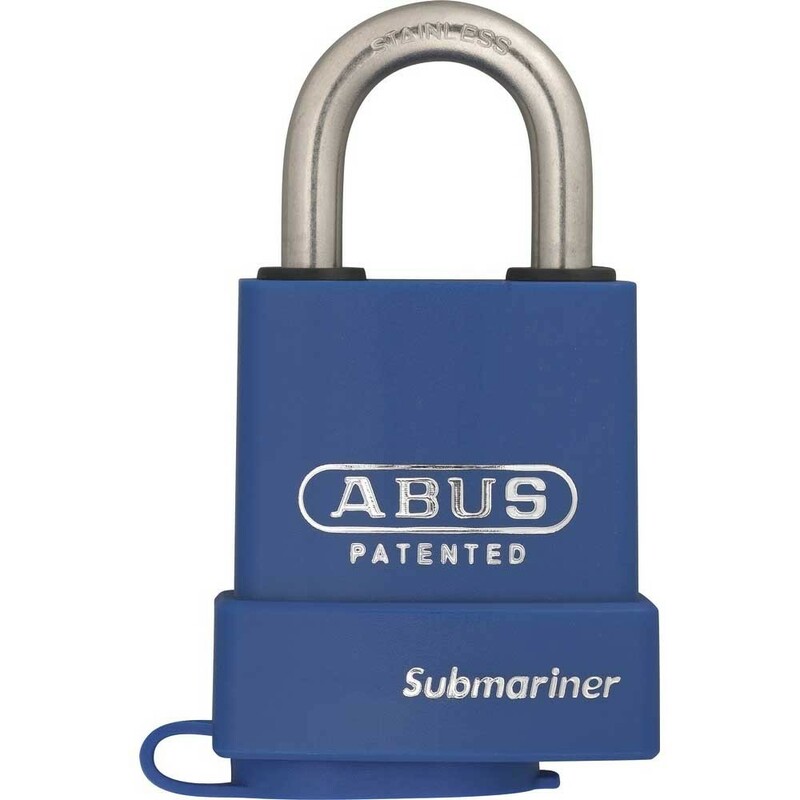 Abus 83 Series Submariner weatherproof brass body, open shackled, heavy-duty padlock with a rust-free stainless steel shackle and high impact sealed lock body with a keyway protective cover designed to keep dirt out and offering maximum security and durability even in the harshest environment. 6 pin tumbler cylinder with rust-free components with anti-pick mushroom pins, resists picking. Can be adjusted to operate key retaining or no key retaining, automatic locking or key to lock.